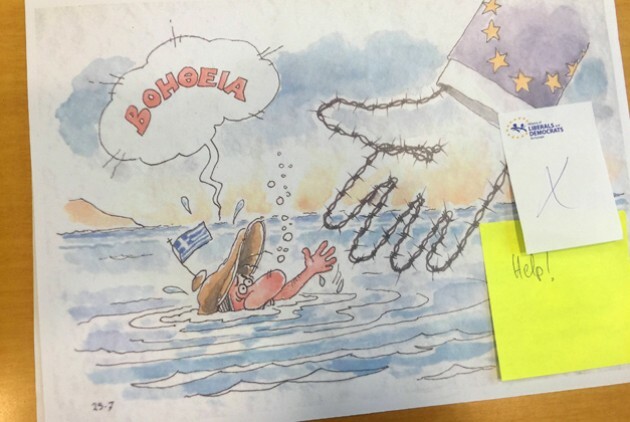 Cartoons cut from European Parliament exhibition for "controversial content"
The European Parliament is accused of censoring a series of political cartoons from Greece which were due to appear in an upcoming exhibition later this month. The exhibition, organised by an MEP from Greece and an MEP from France, aimed to present political and humorous sketches created by cartoonists from the two countries and published in the press on the occasion of the 60th Anniversary of the Rome Treaty. 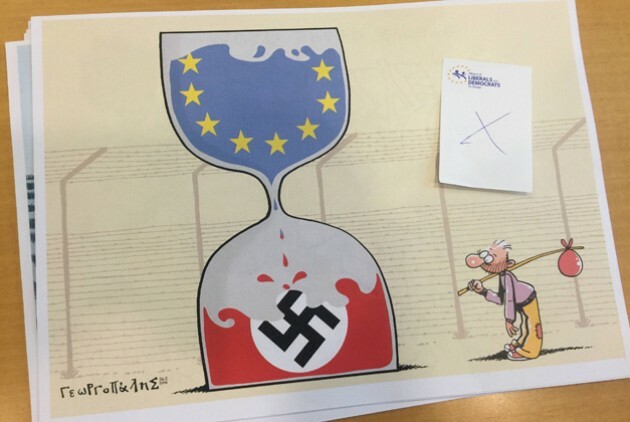 However, Catherine Bearder, a British Liberal Democrat MEP from southeast England, who is responsible for the cultural and artistic events sponsored by other members, decided to remove 12 out of 28 cartoons, all created by Greek cartoonists, claiming that the artwork contained “controversial content”. Index on Censorship approached Bearder for comment but at the time of writing she had not replied. According to the regulation of the European Parliament, all cultural events and exhibitions have to be checked so that “under no circumstances be offensive or of an inflammatory nature or contradictory to the values” of the EU. 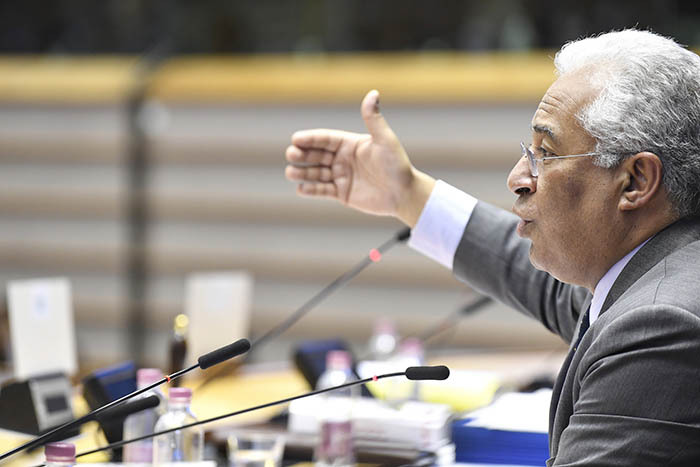 The Greek MEP, Stelios Kouloglou denounced the “unprecedented” form of censorship by the European Parliament. “The content of the censored cartoons did not insult the values of the European Union in any way,” Kouloglou said in a press conference in Strasbourg on Tuesday, 12 September. The 12 cartoons are critical of the EU and focus mainly on the way the EU – and especially Germany – dealt with the Greek crisis. 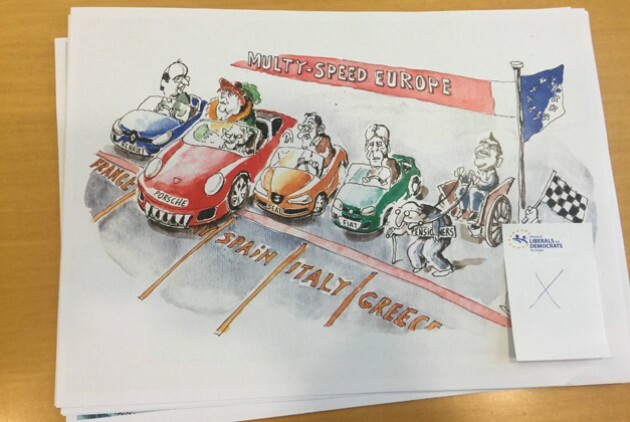 One of the censored cartoons features the starting line for a race, with Germany in a Porsche sports car, Italy, Spain and France in old cars and Greece in a chariot being pulled by a pensioner. Breader presented the upcoming German election as another reason to discard the 12 cartoons, although the exhibition is scheduled to take place after the election. “The right for artistic creation and freedom of expression are part of the European Union’s fundamental values. This arbitrary decision violates them” Kouloglou remarked in a letter of complaint addressed to the president of the European Parliament, Antonio Tajani. 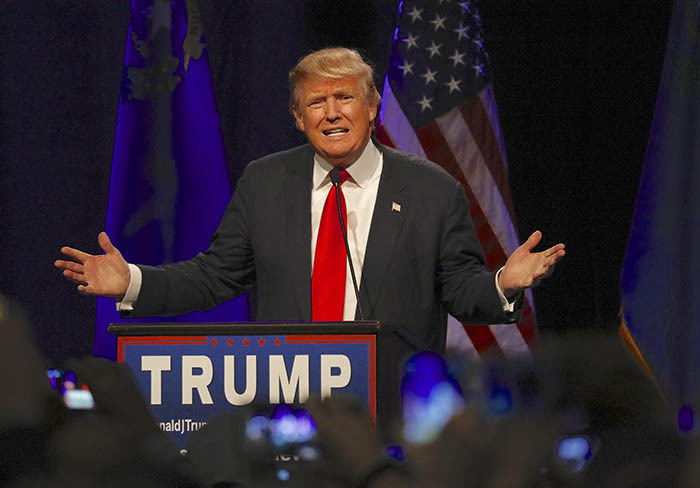 The Journalists’ Union of the Athens Daily Newspapers also denounced the incident of censorship asking for the intervention of the European and International Federation of Journalists. Five Serbian media associations have written to Index on Censorship to raise their concerns about the media environment in the country. While the Portuguese media goes through a crisis, the government has taken to hiring unmotivated and underpaid journalists, accelerating the hollowing out of newsrooms. We would like to see all of the cartoons. We are sad, that some responsable persons in Brussels don’t have the open mind to give freedom for diverse opinions and free expression in arts, as it should be self-evident for each enlightened person.